Whether you personally believe in them or not, Ghosts, or Phi are alive and well in Thailand. Any cinema that wants to have a full house only has to screen the opening of a ghost story, be it a new one or a re-run of a previous one. Ghost stories are very popular in Thailand and range from the comical to extremely gory and gruesome, but ghosts are actually no laughing matter in a country with a population, who if pressed, will admit to not only believing in ghosts, many profess to have seen one. A strong belief in ghosts is certainly not something that is restricted to rural villages; this subject is taken very seriously by all walks of life. Although it is seen to be bad luck or tempting fate to talk about ghosts nearly every Thai person has a tale to tell about one. Many Thai people wear amulets to protect them against evil spirits and spirit houses can be seen all over the country. There are many different kinds of ghost in Thailand, each that comes with its own threat. The Mho Phi or ghost doctor is the person to go to if you have a spirit that needs to be banished and some of the Mho Phi have gained celebrity status for doing just that. A ghost that causes problems for Suvarnabhumi airport is Poo Ming, a blue ghost said to haunt the area, along with other demons that have possessed airport staff. 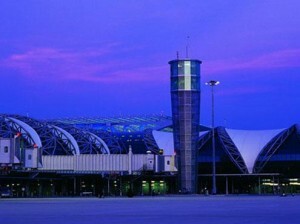 Poo Ming is said to be a frail old man with a blue face who refuses to leave the airport that was built on a former cemetery. When the airport first opened Squadron Leader Punnupong, a former commando who at the time took care of over one thousand airport staff said, “I believe in this phenomenon, I have seen many ghosts in my life”. The need for the new airport was recognized in 1973 when eight thousand acres of land was purchased twenty five miles east of Bangkok. 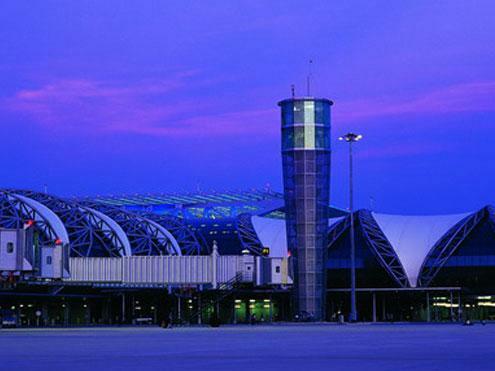 The site, known as Cobra Swamp was drained and named Suvarnabhumi that means Realm of Gold. After the airport opened, ninety nine monks prayed at the climax of nine weeks of exorcism and rites. In front of the airport hotel a young luggage operator staggered forward. He introduced himself as Poo Ming, a guardian of the land where a cemetery once existed. “He was walking like an old man and spoke in an ancient, quavering voice,” recalled Pholprasit Tinakul, another guard. The orange-robed monks doused him with holy water, struck him over the head and the young man was returned to himself. 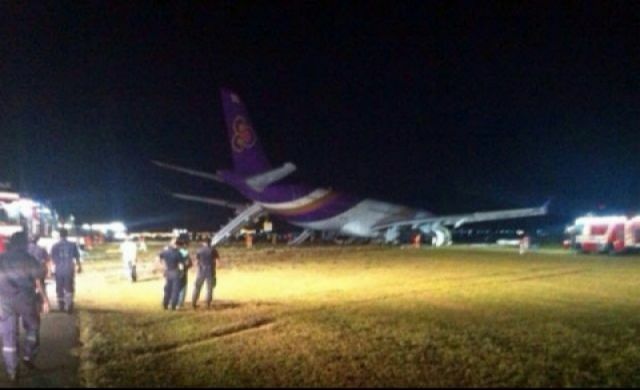 After a plane skidded off the runway earlier this year the managing director of Thai Airways, Sorajak Kasemsuvan, has said that his company would conduct a major ceremony to appease the malevolent spirits said to be haunting Suvarnabhumi airport. 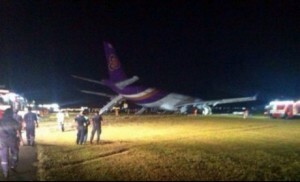 The ceremony was to thank the spirits for assisting with the successful operation to salvage the Thai Airways plane from the runway. The most famous ghost in Thailand is without a doubt Mae Nak and it would be virtually impossible to find any Thai person that does not know her story. The tale of Mae Naak Phra Khanong has been filmed more than twenty times and each version has been a box office hit. While there is no historical evidence of her existence, most Thai’s believe the story of this girl who some believe was born in the Phra Khanong area of Bangkok around one hundred and thirty years ago. Others believe she was born ten years earlier and some date her presence back to over two hundred years ago in mid-eighteenth century Ayutthaya. Some believe she was the daughter of a village chief, some say that she was just an ordinary farm girl, but all believe that she feel deeply in love with a handsome young man who was conscripted for military service after the couple married and conceived a child. The dutiful wife waited patiently for her lover to return, but unbeknown to her husband, during his absence she died in childbirth. When Mak comes back from the war the ghost of Nang Naak disguises herself as her and her infant son as humans and Mak and Nang Naak carry on with their lives as if she had not died. Eventually, despite Nang Naak’s efforts Mak discovers that she is a ghost and the story takes a macabre turn as the jealous ghost becomes enraged until a young novice comes from far away from the village to put her tormented soul to rest. Whether the story is true or not we cannot tell, but what is true is that today there is a shrine to Mae Nak that can be found at Wat Mahabut, down a small soi off Sukhumvit soi 77. In the video above the studio panel discuss the claims that the red light captured by the female student, also show in the clip, is that of a Phi Krasue. Villages back to normal as Ghostbusters chase 300 ogres out of town!